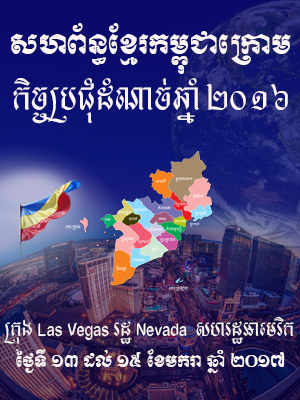 It is an honor for KKF to have our Khmer-Krom community in San Jose to host this historical event in the heart of the Silicon Valley. As in the agenda of previous annual meetings, the KKF’s leaders will update about the KKF’s 2018 activities and planning for the activities of 2019. Moreover, this annual meeting is more special. There will be one day of this annual meeting (Saturday, 8 December 2018) to host as a one-day conference to invite the Human Rights advocates, scholars, and experts to speak at this conference. The speakers and panels will be broadcasted on VOKK and posted on the KKF’s website and social media. We are looking forward to seeing you at this special annual meeting. San José International Airport (SJC) is located in the heart of Silicon Valley, the center of global technology innovation. This is a preferred airport for easy to pick up and drops off. San Francisco International Airport (SFO) is an international airport 13 miles (21 km) south of downtown San Francisco, California and 35 miles north of San Jose. It has flights to points throughout North America and is a major gateway to Europe and Asia. The Khmers Kampuchea-Krom Federation (KKF) together with the Unrepresented Nations and Peoples Organization (UNPO) organise a one-day international conference entitled “Political & Economic Situation in Southeast Asia: the Case of the Indigenous Khmer-Krom People” in Paris on 2 June 2018 from 9am to 5pm to raise awareness of the situation of the the Khmer-Krom. The conference will be hosted by French Senator André Gattolin and will take place in Palais du Luxembourg, 15ter rue Vaugirard, 75006 Paris, France. Nowadays, the indigenous Khmer-Krom communities suffer under the lack of a fair and uncorrupted judiciary system to deal with land claims but also under the excessive use of force by the authorities particularly towards Theravada Buddhist monks, the poor implementation of their rights to freedom of religion, expression and self-determination, as well as tactics of coercion based on intimidation, imprisonment without a fair trial and torture. Although the Vietnamese government has incorporated key human rights standards in the national Constitution and ratified the International Covenant on Civil and Political Rights, the implementation of these human rights is severely lacking. The conference will gather members of the Khmer community, scholars, elected officials and members of the civil society. While the morning session will feature panels focusing on contemporary human rights abuses in the Mekong Delta, Kampuchea-Krom, the afternoon session will focus on the international human rights system meant to protect and promote the fundamental rights for the Khmer-Krom. The event will be held in English. Registration: Send your full name and ID number at: a.gattolin@senat.fr. 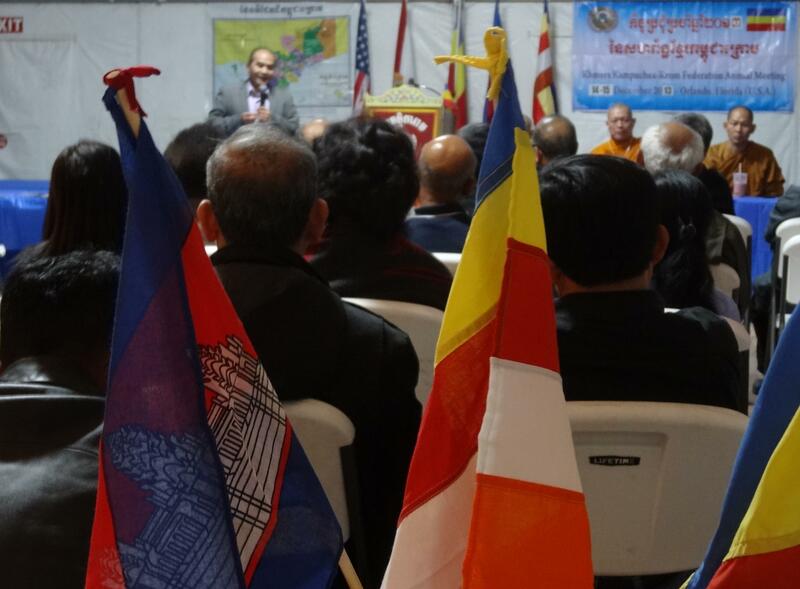 Florida-USA – On December 13 in the U.S., members of the Khmer Krom Federation in the states in the U.S. territory And some countries in the world such as Italy, France and Canada met in Thomicaram temple, (Orlando) Florida to join in the KKF end of year meeting. The Khmers Kampuchea-Krom Federation stresses the importance of youth participation and had set 2014 to be the year of youth empowerment. KKF believes that the young generation of Khmer-Krom are the leaders and the hopes for building better future for the people of Kampuchea Krom. In this meeting, Mr. Thach Ngoc Thach, president of Khmer Krom Federation had announced the appointment of Chau Serey, former youth president, as second vice pr6esident of KKF. Mr. Samon Thach, a Khmer Krom youth human rights advocate from Washington State was elected as vice treasurer for the Federation, and Ms. Sothy Kien, was elected as youth president in place of Chau Serey. This year has seen a large increase in interests and participation of youths. The 2014 year sees a call from KKF to connect with youths around the world and in Kampuchea-Krom to stand up and take their advocacy for human rights of Khmer-Krom people to another level and let the world know what Khmer-Krom people and young leaders of tomorrow want to see in their homeland.